Dental Masters veneers include IPS e.max® CAD or Press, IPS e.max layered veneer, and IPS Empress® esthetic or layered veneers. 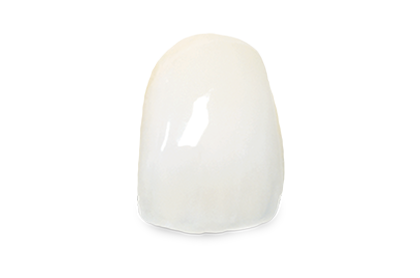 IPS e.max offers four levels of translucency for lifelike esthetics. IPS Empress veneer is used for anterior restorations to enhance esthetics by covering up mild staining or closing diastemas. For facial reduction three wheel diamond depth cutter should be used for orientation grooves. For proximal reduction - round end tapered diamond bur is used as an extension for facial reduction.